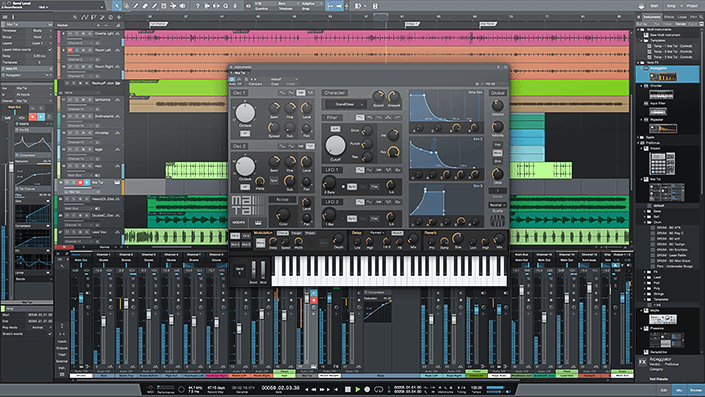 Studio One 4.1.2 – Music creation and production suite. Artists of all levels, from beginner to seasoned professional, will find Studio One a serious alternative to the intimidating, bloated offerings currently considered the standards. It’s a groundbreaking music creation and production application for Mac OS X and Windows XP/Vista/7 that makes audio recording, MIDI sequencing, and audio mastering ridiculously simple right out of the box. And although Studio One Pro hit the scene just months ago we’ve already added even still more pro chops with Version 1.6. From tracking to mixing to mastering and distribution, it’s the creative environment built for intuitive use, speed, and efficiency-and yet it’s robust enough for the most complex productions. Next story MarginNote 3.2.1 – A brand new e-reader to better study and digest your books. Previous story A-Zippr 1.2 – Zippr – RAR & Zip Tool for Mac. QLab 3.1.18 – Create media sequences for live shows. Audio Hijack 3.3.3 – Record and enhance audio from any application (was Audio Hijack Pro). Sound Siphon 2.0.1 – Capture your Mac’s audio in any app.